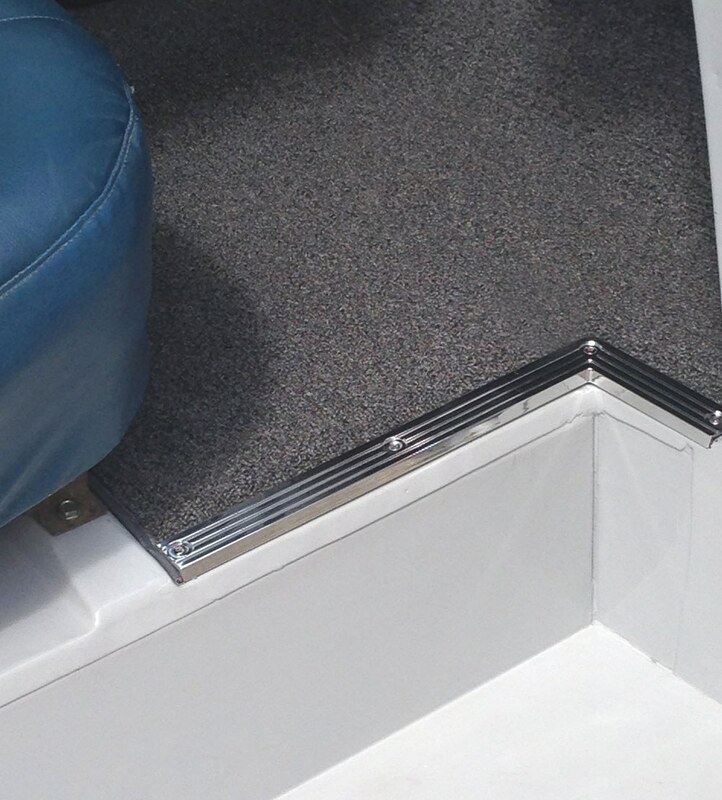 For the finishing touch on the cab floor of your '55-59 GM truck, this Carpet Sill Plate from Mar-K is made to fit around the step opening of the cab. Stylish and functional, the trim holds down the carpet much like that in later model trucks. Machined from billet aluminum and then polished, the trim is supplied with necessary stainless steel hardware. For further information, contact MAR-K at 405-721-7945 or online at www.mar-k.com.